You may either download the app, do it through your mobile browser or the full site on your computer. These screenshots were taken from the app. 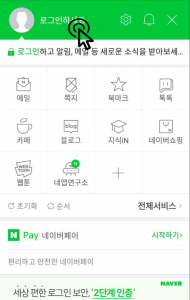 To begin, click the menu button at the top left hand corner. 2. 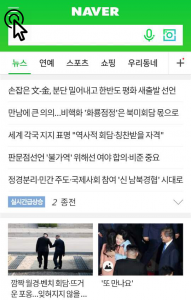 On the next screen, click on 로그인하세요. 3. 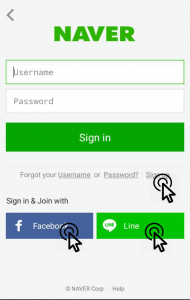 You will have a choice of either making an account from scratch or logging in with your Facebook or LINE account. Please note that you will have to provide your phone number for verification purposes. The full process of signing up is in English so we’ll skip right to the next step after filling in your information. 4. Please note that they are very particular about having the username in all lower case letters, so if you get this message, it is likely you will have to edit that. 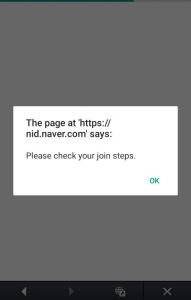 You should get a welcome message after you’re done and now you can go on the next steps: liking and commenting on videos, liking and commenting on articles, and using Naver Music!